Giving up on growing houseplants? You like houseplants, but they don’t always seem to like you? The few houseplants you have grow awesome, but you somehow end up killing all the new ones. 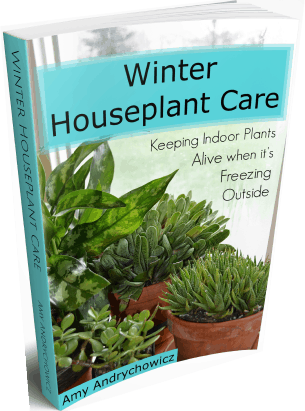 It’s a constant battle to keep your houseplants healthy and bug free all winter, and sometimes… sometimes you just want to toss them all out into the snow and be done with it. Well, you’re not alone. That’s why I wrote this book. It’s so frustrating when a houseplant suddenly starts dying, and you have no idea how to save it. It’s devastating to find bugs on your beloved houseplant – and you don’t know how to get rid of them. Keeping houseplants alive is hard, especially during the long dark winter months. How much light does it need? When should I water it? Why is there white fuzz all over the stems? Well guess what… houseplants don’t grow the same during the winter as they do in the summer, and they shouldn’t be treated the same either. Keeping your houseplants thriving through the winter doesn’t have to be a constant disappointment or a huge chore. So grab your copy today, and start loving your houseplants again! For less than the cost of six spider plant cuttings, your plants will be the envy of your neighborhood.